Andy J. Leisure has a purpose built showroom to allow you to make an appointment if you would to come and view the brilliant quality we offer before you make your purchase. This way if you want check out what you will be getting, you can! 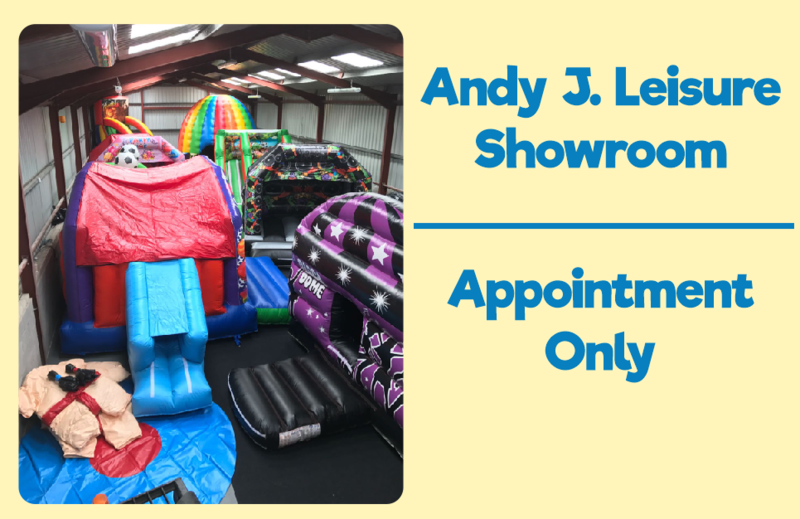 By making an appointment and viewing our products to see just how fantastic our inflatables and bouncy castles really are.